Nifty had a super-duper day, with the index adding 72.75 points to end at new high of 6024.05. The index opened up and went up with each passing hour to move above the psychological level of 6000 with ease. The broader market also performed well, with 910 advances to 593 declines. The OI Table saw huge addition at 6100-5900PE levels. Call option 6200 added 9.81 lacs huge amount of OI with huge short covering seen at 6000 and below strike prices. Put Option 6100-5900 added 28.23 lacs huge amount of OI with huge profit booking seen at 5800 and below strike prices. Highest accumulation on Call option 6200 at 88.5 lacs & 6100 at 60.8 lacs whereas Put option 5900 at 81.5 lacs & 5800 at 72.8 lacs. 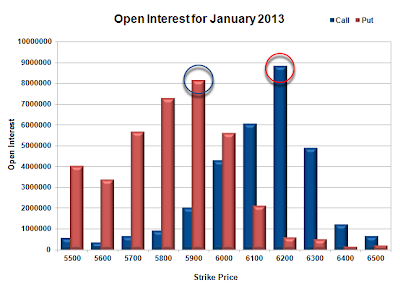 Nifty Open Interest is at 1,59,38,850 up by 2,30,650, with increase in price, most probably huge long build-up. Bank Nifty Open Interest is at 11,26,350 up by 44,525, with huge increase in price, most probably huge long build-up. FII’s sold small 0.82 lacs of Futures, most probably long liquidation, as their net OI decreased by 207 contract and the average price per contract comes to around 6071. FII’s future open contract as on date is 262392. PCR Open Interest (Volume) has jumped to 1.311. Initial Support has come up at 6000PE with huge addition for the day at 18.5 lacs and below that at 5800 with OI of 81.5 lacs. 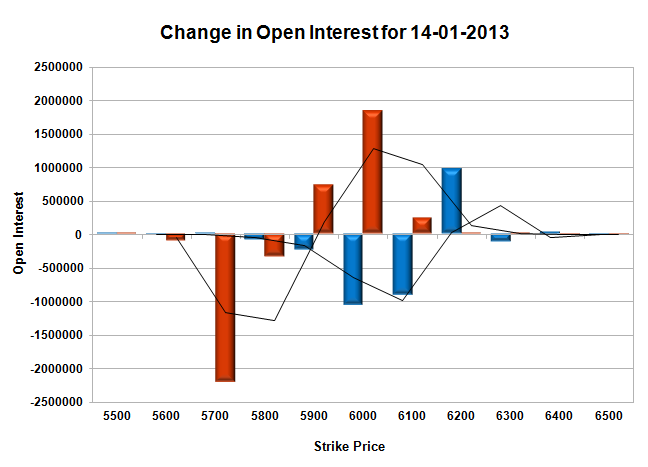 Resistance at 6100CE, with OI at 60.8 lacs, and above that at 6200 with huge OI of 88.5 lacs. 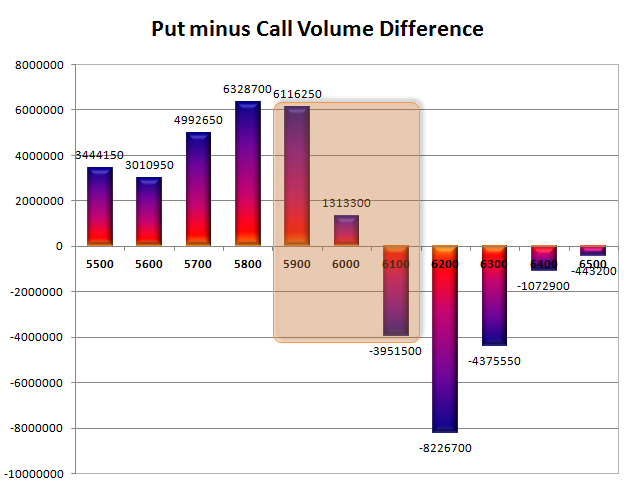 Range as per Option Table is 5969 - 6055 and as per VIX is 5981 - 6067 with 6010 as the Pivot.